Utah was once the beer capital of the Western United States. Utah and its rich history of the beer industry providing jobs, education and quality products dates back to the 1880s. 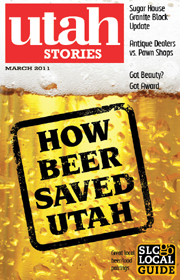 Part II in a two part series on How Beer Saved Utah. “Very few people realize that Utah was once home to some of biggest and best breweries in the Western United States,” says Del Vance, author of Beer in the Beehive. Prior to prohibition, Utah was home to three major Breweries. Becker, Fisher Brewing and Salt Lake Brewing Company were all world-class operations, satisfying the unquenchable thirst of the many miners working in the western United States. Miners burned an estimated 4,000 calories per day, and beer was their liquid nourishment. Utah was once home to 15 breweries of various size and character. For the scope of this article we focus on two of the largest: Becker Brewing and the Salt Lake Brewing Company. 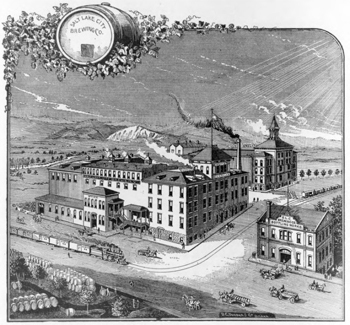 In 1891 the Salt Lake Brewing Company was one of the largest breweries outside of Milwaukee, Wisconsin. According to the Salt Lake Tribune SLBC reach an annual capacity of 100,000 barrels of beer per year. To put this enormous quantity into perspective, today, Uinta Brewing Company and the Utah Brewers Cooperative (Squatters and Wasatch) together produce close to 30,000 barrels of beer annually. 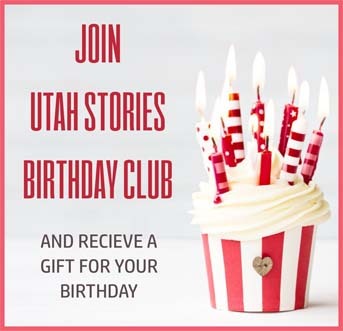 That’s 3.5 times as much as any brewery in Utah today, a remarkable feat given that this single Utah brewery was operating before the turn of the 19th Century in a city that was settled by pioneers just 50 years earlier. The Salt Lake Brewing Company dominated the eastern skyline in the late 1800s. Composed of several massive buildings, the operation was a technological manufacturing marvel for at the time. Jacob Moritz was to beer as Bill Gates is to computers. He worked for control over every aspect of the business. With ownership of not only his massive brewery, from which he distributed beer in five states, Moritz also owned 36 saloons in Utah that all sold his beer exclusively, American Beauty, and Budweiser Beer. Back then Budweiser was considered by most to be a style of beer. But Busch contended they owned the exclusive rights to the name. Moritz as a titan in the industry, challenged Anheiser-Busch, but eventually lost. In the early 1900s state officials began attempts to break up Moritz’ monopoly by “ridding the city of crime-breeding dives.” The city enacted an endless procession of laws leading up to Prohibition. By 1906 he was brewing just 50,000 barrels, never reaching the full capacity of his plant. But as the Salt Lake Brewing Company was shrinking the second largest Utah Brewery was expanding in Ogden. In 1908 the Becker brothers had convinced the heavy beer drinkers and the mining community in Ogden to switch from drinking the Eastern beers and “support local industry” by drinking the superior Becker beer. Stating in an ad campaign, “more doctors prescribe their patients Becker beer than any other beer.” Apparently it was preferred by doctors before the age of anti-depressants. 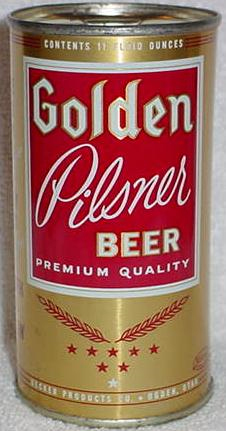 Previous local beers were far inferior to the imported beers, but Becker Beer was made using the traditional Bavarian Pilsner methods. 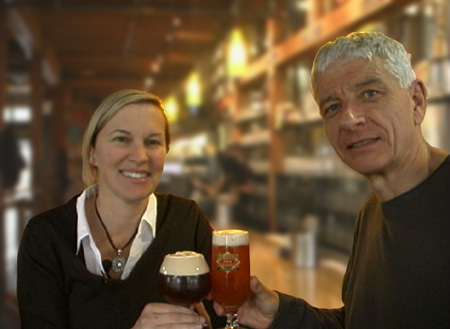 The Beckers were well educated in beer production and incorporated the methods from their mother country of Germany. Using superior ingredients, with quality controls for every ingredient and every step in the process, the Becker’s were meticulous in ensuring that every bottle of beer was perfect. By the time of their massive expansion in 1908 they won over the locals not just in Ogden but all over Utah and the Intermountain West. Becker Beer’s factory included their own malting facility. A highly complicated process to do well, the malting process entails germinating barley grain (converting starches to sugar) then roasting the grains to the proper amount depending on the desired color of the beer. The Becker Brewing Company bought all of their barley from local farmers, “using the finest barley grown anywhere in the U.S.” They also bought their hops locally. Becker’s factory included their own water works and power plant that used a massive amount of coal to produce the electricity required to keep their icehouse and fermentation cellars the proper temperature. While Becker operated “off the grid,” with little reliance on the city of Ogden for utilities, their economic impact on Ogden was significant, always using locally grown ingredients and local craftsman in all of their expansions. “A city 3 or 4 times the size of Ogden would be pleased to have such a brewery.” Becker eventually installed their own rail line to easily distribute beer to Idaho, Wyoming, Nevada and Montana. By 1908 they were producing 35,000 barrels of beer annually. Becker survived Prohibition. Even after attempts to produce candy out of their factory, the Salt Lake Brewing Company didn’t survive. Becker operated throughout prohibition by producing non-alcoholic beer called Becco, and it also bottled Coca-Cola products, made ice, and began a poultry-freezing business. When Prohibition lifted in 1933, Becker was the only operational brewery left in Utah. 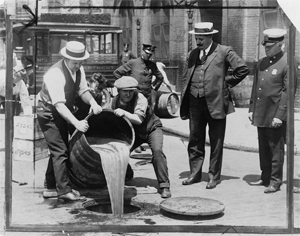 The vacuum left by prohibition was eventually filled by national macro-breweries. This all changed in Utah when Greg Schirf decided to open Utah’s first brewery in nearly 20 years, The Schirf Brewing Company, brewing Wasatch Beer. Del Vance, was in a fraternity at the University of Utah at the time and said after he bought a keg (back in the good old days when kegs were legal) from Wasatch, he was unsure of how his fellow frat brothers would react to the new style of beer, but, “They thought it was was awesome…That’s when I realized, ‘there is something to this beer thing.’” Vance entered the craft brew market co-founding Uinta Brewing in 1993. Greg Schirf was responsible for getting the Utah liquor law changed which allowed small breweries to sell their own products. The microbrewery was born in Utah. And Schirf opened the first in Park City in 1986. When Squatters brew pub opened in downtown Salt Lake City in 1989, downtown was suffering the worst downturn of urban blight since the beginning of the decline of downtown in the early 1970s. With drug abuse, prostitution and crime setting in; and tax revenue in decline to fight crime, more businesses moved out from the city center to the suburbs. Most of the city center of Salt Lake had become seedy and unsafe. The Salt Lake City RDA was willing to help anyone who wanted to invest in downtown. They choose to rent a boarded up old pink building that had been vacated for the past six years. By anyone’s evaluation it was an extremely risky move to assume the area would be revitalized any time soon. Cole says that despite their sketchy location, they had a great deal of confidence in their concept. Cole and Poychronis spent nearly a year touring brew pubs across the U.S. and believed that a brewpub incorporating the best of what they found would be a winner, even in Salt Lake. When Squatters opened in downtown Salt Lake it was an immediate hit. Prohibition hit Utah’s economy and its well established breweries very hard. The Salt Lake Brewing Company, Becker Brewing and the Wagner Brewing Company would never reopen after beer was outlawed in the United States . Today the area around Squatters is probably the greatest success story of urban revitalization without government or church intervention in the last 20 years. Two years after Squatters, Red Rock Brewing Company opened a block and a half away on 254 South 200 West. Squatters could have been offended or a turf battle could have ensued. But rather than see each other as fierce competitors the two head brewers Kevin Templin of Red Rock and Jennifer Talley of Squatters are good friends. Talley says, “I couldn’t have a better brewing neighbor than Kevin. Likewise Templin said that when Jenny won her gold medal for Fifth Element, he was very happy for her. Utah Brewers regularly get together. They enjoy each others company and critique each others new recipes. They hang out together at brew festivals and to see their eyes light up when they talk about each other, one might assume they are talking about their family. In the past 10 years the areas in downtown around Squatters and Wasatch has been thriving. Also, since Wasatch opened in Park City, Main Street has become one of hottest pieces of real estate in Utah. Nobody would have imagined that a former “red light district” would end up one of the coolest places in Salt Lake City. By the early 1990s crime shifted either further West or moved out all together. The Rose Wagner Theater opened up across the street from Squatters in 2001. And the area around Red Rock has attracted investment from Setebello Pizza the Gastronomy Group. 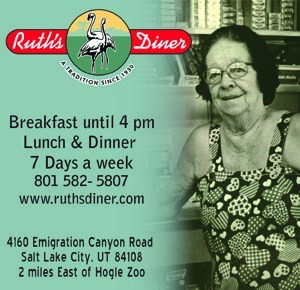 Today Red Rock, Squatters, Bohemian, Uinta, Hoppers, Wasatch, Moab Brewery, Eddie McStiffs, Desert Edge and Roosters all have contributed greatly to the local economies and populations they serve. It’s impossible to imagine a world without the great benefits we all enjoy thanks to Utah beer. Besides the economic and community benefits, the tax revenue produced from alcohol sales through the DABC pays for a huge chunk of the funding for public schools.